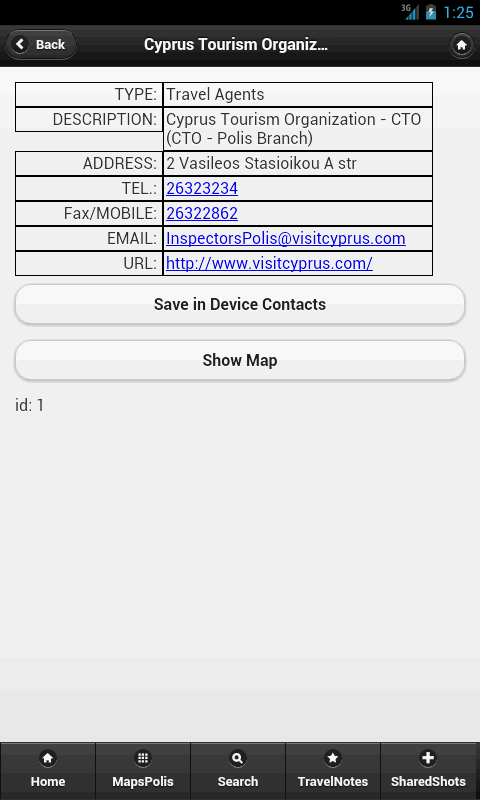 Note: Polis Travel Guide have been released for BlackBerry 10 Smart Phones & Tablets on Wed 22/10/2014. You can DownLoad it here. Note: Polis Travel Guide have been released for Windows Smart Phones & Tablets 8 on Thu 16/10/2014. You can DownLoad it here. Also on Android. You can DownLoad it here, or for Amazon Fire Android Tablets & Phones. Leonidas Savvides (@lwdlse) Web/Mobile Developer/Designer in Polis, Cyprus. http://demo.polischrysochous.org/ free Demo to try http://www.ps2dw2.mobi – Polis Travel Guide App – Download We introduce the Polis Travel Guide App 1.0.1 for Android available from the Google Play Store or from Samsung Apps Store for 2.99 $. 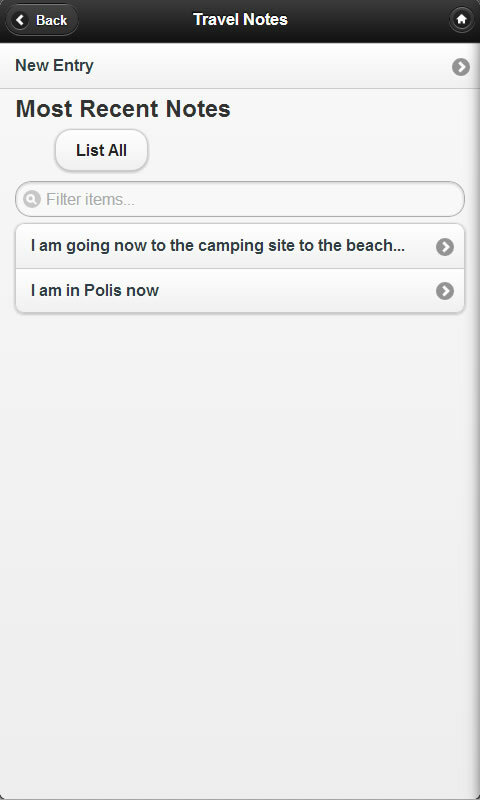 The App contains essential info for Polis, like contact data of services and shops, useful tel numbers, maps, private travel notes keeper, share publicly your photos with other app users, Polis photo gallery, Flickr Photos Integration, video about Polis(3rd-party), special local offers, events in Polis, instant call a number or sms(or call) if the number is mobile… also ability to save each entry(shop or service contact details) data as a contact entry in your device contacts. Launch App and in HomePage – main menu choices: Press Useful Tel Numbers ver1.3(or Tel Numbers ver1.0) and press the number. 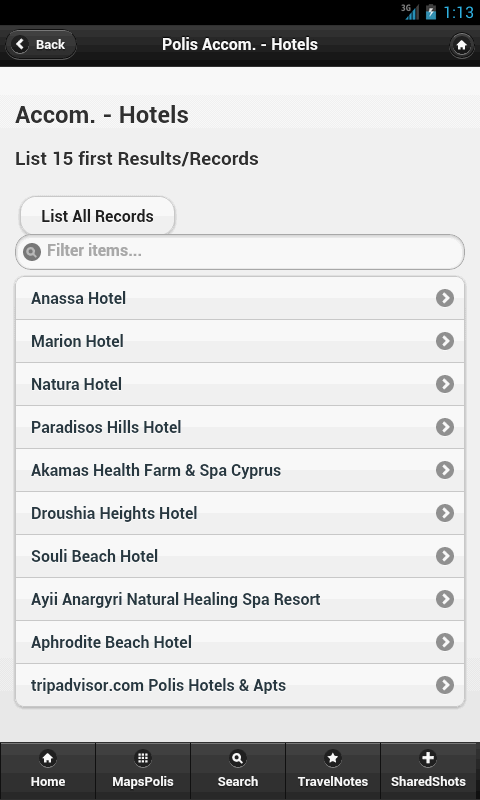 Or Launch App and in HomePage – main menu choices: Press Search, search for that you want in the search box, and the click it, and in Contact View press the number or if is mobile and want sms, press (SMS) to the left of mobile number. 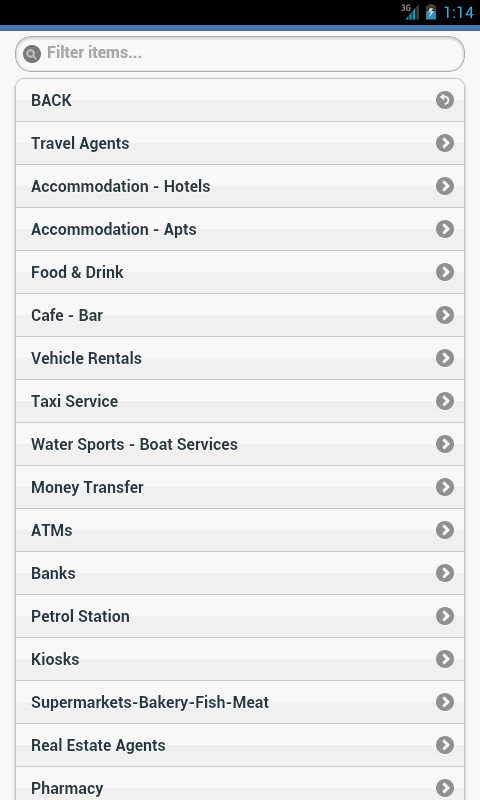 Or Launch App and in HomePage – main menu choices: Press Services and Shops, browse for that Service and in Contact View press the number or if is mobile and want sms it press (SMS) to the left of mobile number. 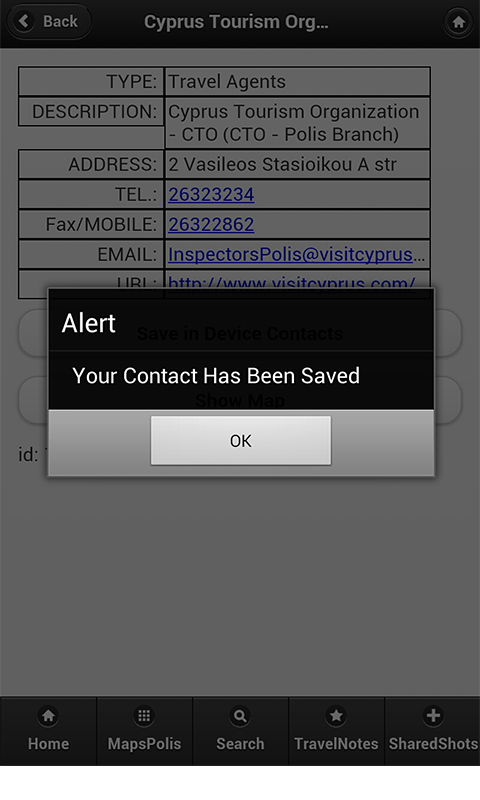 To save a contact details entry press “Save in Device Contacts” in the contact view page and will saved as a contact in your Device Contacts, all contact details included. Launch App and in HomePage – footer choices: Press ShareShots and after sign up for a free account, upload photos or go to photos. Here you see first 100 uploads of photos from all users and if you want view only your photos press My Photos only In All Photos. You can have up to 20 Public photos per account. (coming Private Photos – delete a Photo function). 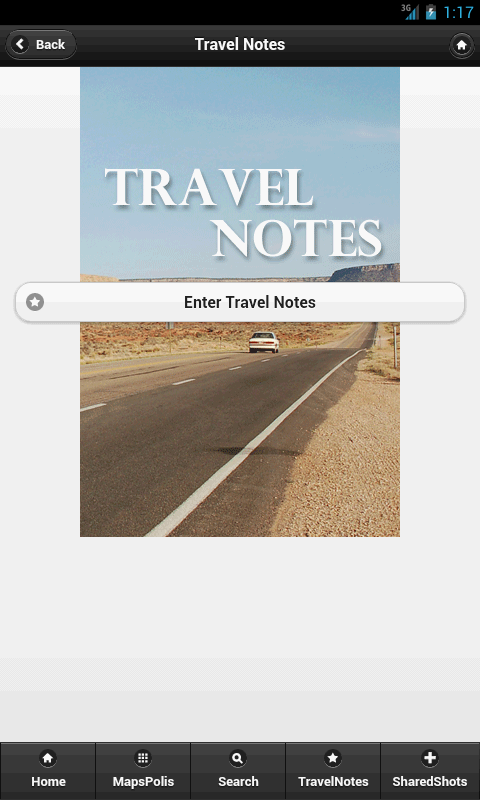 Launch App and in HomePage – footer choices: Press TravelNotes, and then press Enter. To Write a note Press NEW Entry. 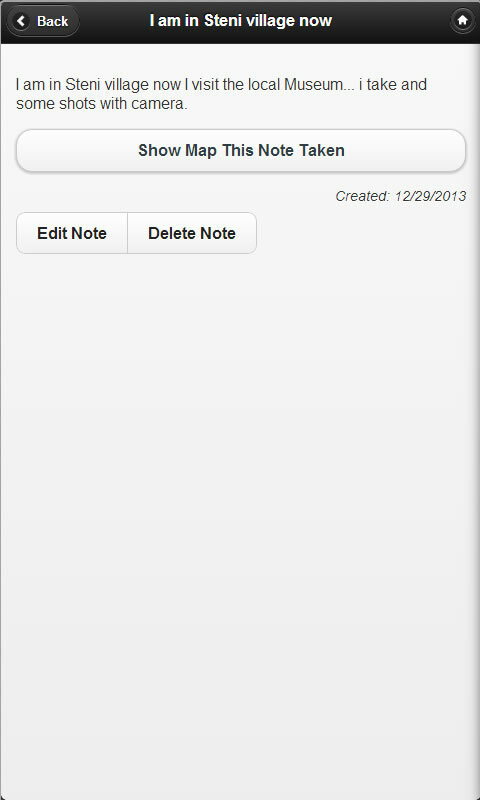 To view/edit a Note press the Note in the HomePage List view. After press Edit or Delete or Back to return back. 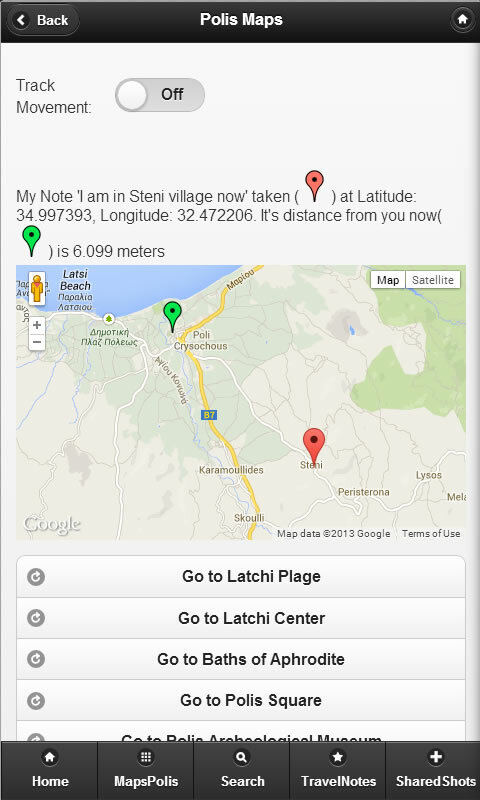 Or, press view Map to see the Map note taken at if GPS was enabled.